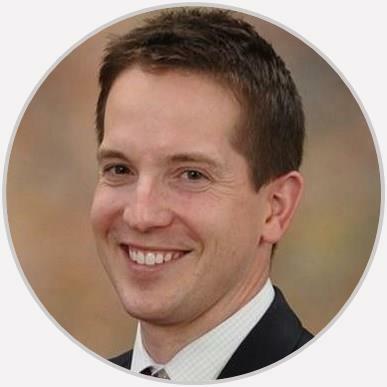 Dr. Christopher Anderson is a fellowship trained and board-certified orthopaedic surgeon specializing in the treatment of knees and hips. Seems like a great guy, we'll see how the knee replacement goes ! I like Dr. Anderson's straight forward manner and answers. Took great care of me when i was brought in w a broken hip. Follow up excellent. Dr. Anderson is very personable, and took the necessary time to explain everything. Thank you, Dr. Anderson; greatly appreciated it! Very good doctor who takes time to listen, and answer patients questions. I appreciate that Dr. Anderson listens to my concerns and also that he’s very knowledgeable and keeps apprised of changes in his field. The clinic and hospital staff seem to be a cohesive team, supporting their patients. I have no complaints. With a big hip revision, I am so thankful to Dr. Anderson’s expertise with revisions. I am doing great and feel so much better than before surgery. Thank you for a wonderful new hip.